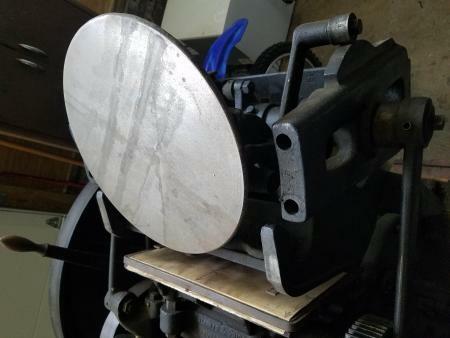 I recently acquired an 8x12 C+P press from a guy who was going to send it to the scrapyard. All of the mechanics work very well and I am convinced that I can get it up and running but it is missing the saddle that holds the rollers in place (I believe that is the correct term, I am lacking in my letterpress knowledge). I would love to know where I can acquire these or if anyone has luck machining their own. I am attaching an image, the parts I need go in the holes, saddle in the top that hold two rollers and hook in the bottom that holds a third roller if needed. You might want to contact Greg Timko. He sold me a throw off lever for a C&P some years back and seems to have a lot of spares.